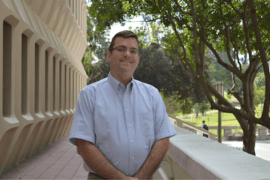 UCI physical sciences professors Matt Law, Jim Randerson and Eric Rignot have been named among the world’s most influential researchers by Thomson Reuters. The 2014 Highly Cited Researchers list includes preeminent researchers who have demonstrated exceptional impact in their fields as measured by citations of their work. 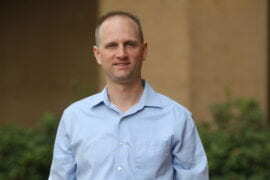 UCI physical sciences professors Matt Law, Jim Randerson and Eric Rignot have been named among the world’s most influential researchers by Thomson Reuters. The 2014 Highly Cited Researchers list includes preeminent researchers who have demonstrated exceptional impact in their fields as measured by citations of their work. It’s based on papers published between 2002 and 2012. Researchers are selected not only for total citations but also for the number of highly cited papers contributed. “Having three of our faculty members recognized in the top 1 percent in citation impact backs up our pride with tangible data,” said Ken Janda, dean of the School of Physical Sciences. Law is an assistant professor of chemical engineering & materials science and chemistry who develops nanoscale and Earth-abundant materials for producing electricity and chemical fuels from sunlight. Randerson is a Chancellor’s Professor of Earth system science who utilizes remote sensing data, carbon dioxide observations and Earth system models to study interactions among human activity, ecosystem processes and climate. Rignot is an Earth system science professor who uses satellites, airborne sensors, field data and computer models to explore glacial ice dynamics. He has documented ice loss acceleration due to climate change.